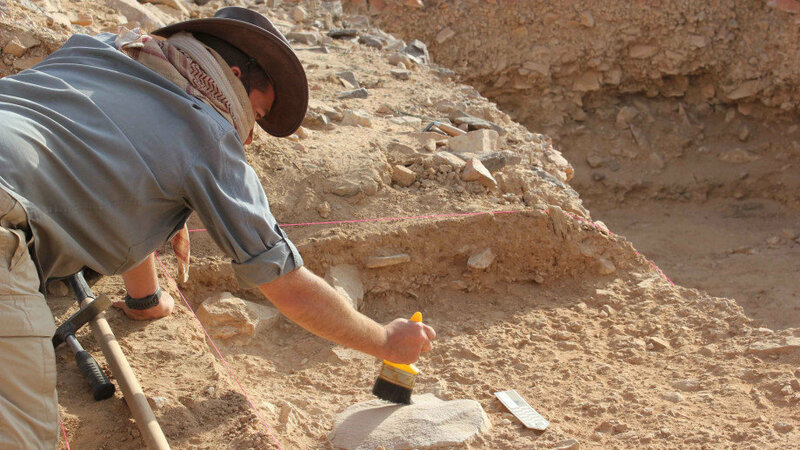 An archaeological excavation of ancient human populations in the Arabian Peninsula during the Early Stone Age, found that Homo erectus used 'least-effort strategies' for tool making and collecting resources. This 'laziness' paired with an inability to adapt to a changing climate likely played a role in the species going extinct, according to lead researcher Dr. Ceri Shipton of the ANU School of Culture, History and Language. "They really don't seem to have been pushing themselves," Dr. Shipton said. "I don't get the sense they were explorers looking over the horizon. They didn't have that same sense of wonder that we have." Dr. Shipton said this was evident in the way the species made their stone tools and collected resources. 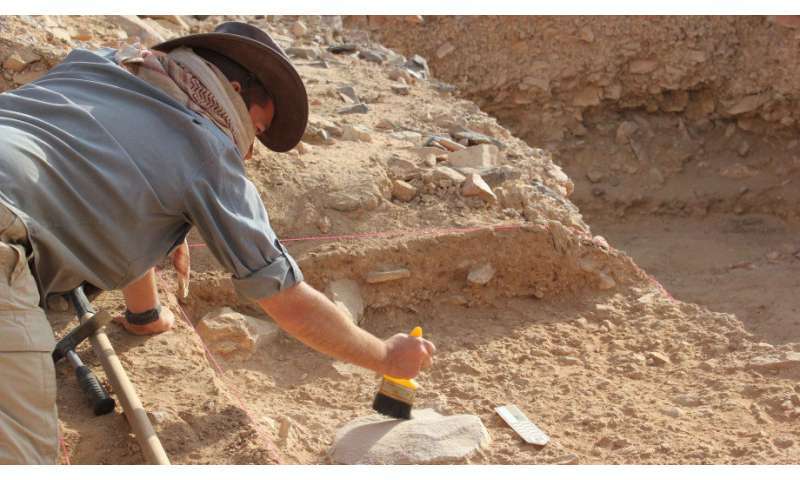 "To make their stone tools they would use whatever rocks they could find lying around their camp, which were mostly of comparatively low quality to what later stone tool makers used," he said. "At the site we looked at there was a big rocky outcrop of quality stone just a short distance away up a small hill. "But rather than walk up the hill they would just use whatever bits had rolled down and were lying at the bottom. "When we looked at the rocky outcrop there were no signs of any activity, no artefacts and no quarrying of the stone. "They knew it was there, but because they had enough adequate resources they seem to have thought, 'why bother?'". This is in contrast to the stone tool makers of later periods, including early Homo sapiens and Neanderthals, who were climbing mountains to find good quality stone and transporting it over long distances. Dr. Shipton said a failure to progress technologically, as their environment dried out into a desert, also contributed to the population's demise. "Not only were they lazy, but they were also very conservative," Dr. Shipton said. "The sediment samples showed the environment around them was changing, but they were doing the exact same things with their tools. "There was no progression at all, and their tools are never very far from these now dry river beds. I think in the end the environment just got too dry for them." The research has been published in a paper for the PLoS One scientific journal.